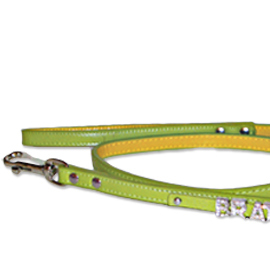 The Rhinestone Personality Collection is made of high quality leather designed for great looks, and to be used as an everyday collar/leash. 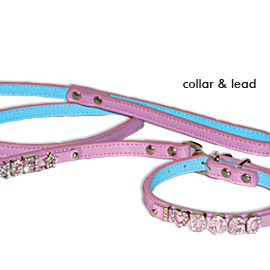 Each collar and leash can be customized by you with our bling bling rhinestones. Just slide it on and put the belt in place; it can be done in less than a minutes! Colors: Green, Black, and Pink. Size Length Width S 4" 1/2" L 4" 3/4"